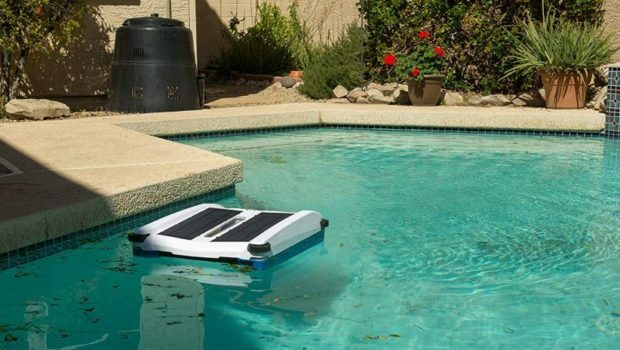 The original Solar Breeze robotic pool skimmer was an instant hit when it came out a few years ago. The Solar-Breeze NX2 is a long overdue update on the older model. They’ve made a few improvements, though not major ones. But why drastically change something that was already great? 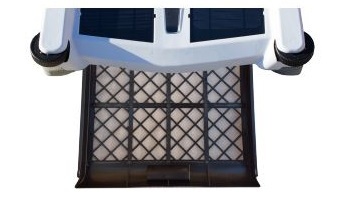 The NX2 offers the same excellent solar-powered cleaning performance as the original model. Beloved features like the chlorine tray and large debris tray are still present. The company has made the software a bit smarter so that it cleans your pool even more efficiently. 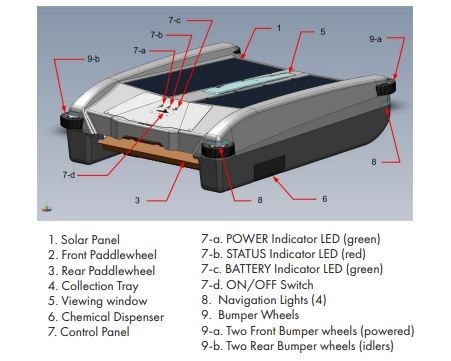 Read on to learn more about the Solar-Breeze NX2 automatic solar powered skimmer. Doesn’t rely on pool pump – saves costs. Reduces the need to run the pool pump frequently –saves even more costs. Keeps pool cleaner and reduces the use of chemicals. High capacity battery – operates continuously almost through the night. Effectively collects dust, leaves, and debris floating on the water. Some debris falls out as you lift the skimmer out of the pool, a problem that was also present in the original model. No handle to lift it out of the water. The skimmer tends to be heavy when full of debris. A handle would have made it easier to lift it. Many customers have longevity concerns. For the price, most of the skimmer’s parts don’t seem that robust. 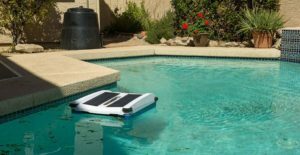 The skimmer removes 90-95% of debris floating on the water before it sinks to the bottom of the pool where it’s harder to remove and causes grime on your pool floor and walls. It uses an ultra-fine nylon mesh that can capture both big and small particles. The debris goes into a large tray that is easy to remove and empty. 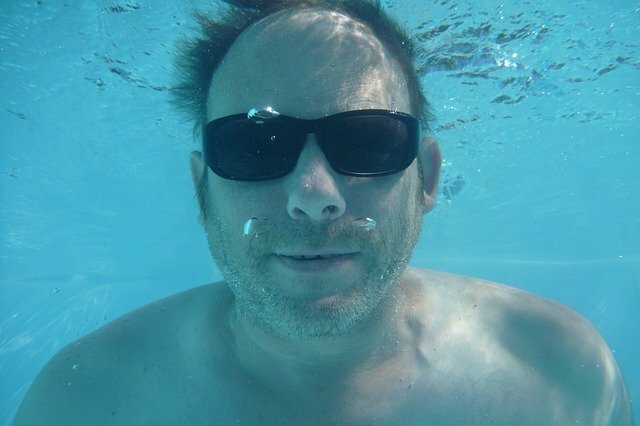 The NX2 replaces your hand skimmer, though several users say they occasionally had to use their pool skimmer on spots that the NX2 missed. But it only struggles with extra-large pools. For most pools, it provides complete coverage, leaving the water clean and clear. Note that this is not a robotic pool cleaner. It will not clean the walls or floor of your pool. It only filters out dust, leaves, small twigs, dead insects and other debris from the pool surface. 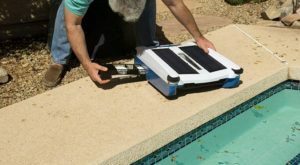 So you still need to clean your pool manually or use a robotic pool cleaner. The Solar-Breeze NX2 doesn’t need any cables or hoses. For mobility, it uses powered paddle wheels at the front that guide the skimmer around the pool. It doesn’t have a smart mapping system, so it relies on the walls. When it hits a wall, it changes direction. Within a few hours, it’s able to cover the entire pool. You don’t have to worry about the skimmer taking long to finish cleaning the pool surface. You can leave it in the pool round the clock. It charges up during the day, storing extra power in the lithium-ion battery. The stored charge is enough to make it through most of the night. When the sun comes out again in the morning, it reactivates and gets back to work. Check the debris tray now and then. When it gets full, remove and empty it. Be careful when lifting the skimmer out of the water as some of the debris from the tray can spill back into the water. Because it requires so little power to clean the pool, the Solar Breeze NX2 can comfortably run off solar energy. It is powered by a pair of 6-watt solar panels, for a total power delivery of 12w. When it is sunny, they store power in a 5300 mah lithium ion battery. The battery capacity of the NX2 is much higher than it needs to operate the paddle wheels. According to the company, the battery stores five times more power than the skimmer needs. The extra charge is used to power the skimmer at night when the solar panels are inactive. As many pool owners have noted, the NX2 skimmer can keep going almost the whole night. Power usually runs out just before sunrise. The constant operation is excellent because, one, it doesn’t cost you anything and two, it keeps the pool ever clean. So whenever you are in the mood for a swim, the pool is always ready. The NX2 can also help you sanitize your pool. Built into the skimmer is a tray that holds two 3” trichlor tablets. Because the skimmer covers the entire pool, it’s able to sanitize all the water evenly. You are tired of hand skimming your pool every time before you swim. You want to reduce the amount of chemicals you add to the pool and reduce the number of times you switch on the pool pump. Your pool is constantly filled with leaves and debris from nearby trees or wind blowing in. 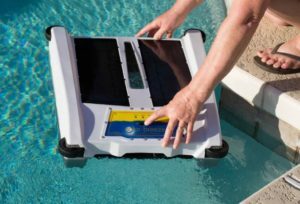 You are not ready to spend $500+ on an automatic pool skimmer. We agree that the NX2 is a bit pricey, but it pays for itself in a few months.